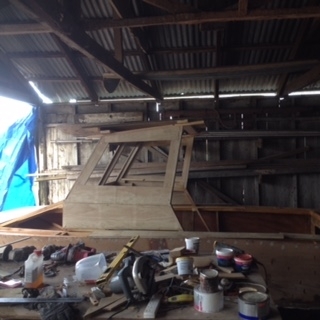 Build your own boat?! Are you crazy?!!! 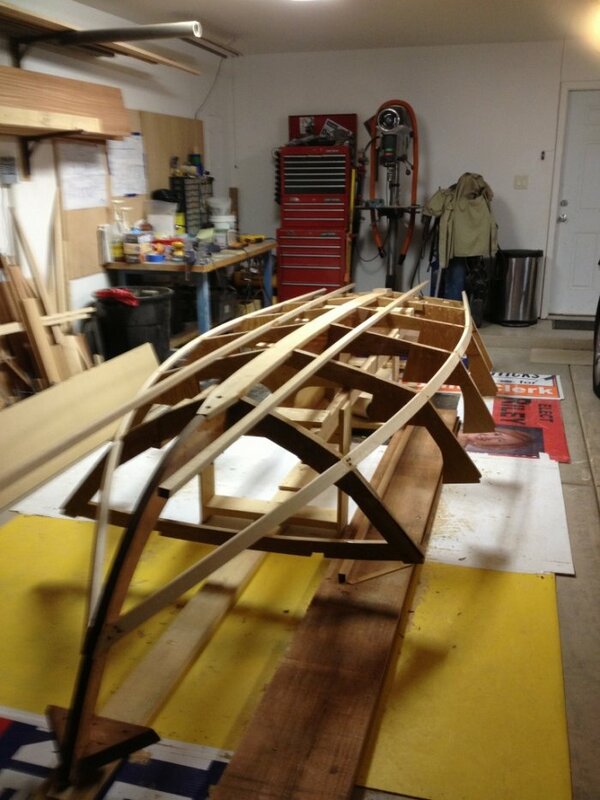 People who build their own boats are crazy. You know there are people out there that think you’re nuts, right? They think you have nothing better to do or spend your money on than building your dream boat. Either that or you’re trying to (ahem) “compensate” for something. Maybe display your “special” finger to them as you fly by in your mahogany runabout or take a long look down your nose at them as you glide by in your sleek sailboat? Politely disagree and point out the stupid stamp collection they’ve poured thousands of dollars into? There has to be a purpose behind it all, something more than flash and show-boating, something deeper than highly-polished hand-crafted woodwork, something more profound than trying to get the bikini-clad ladies (actually, that’s a totally legitimate reason). But what is it? Why do people build their own boats? 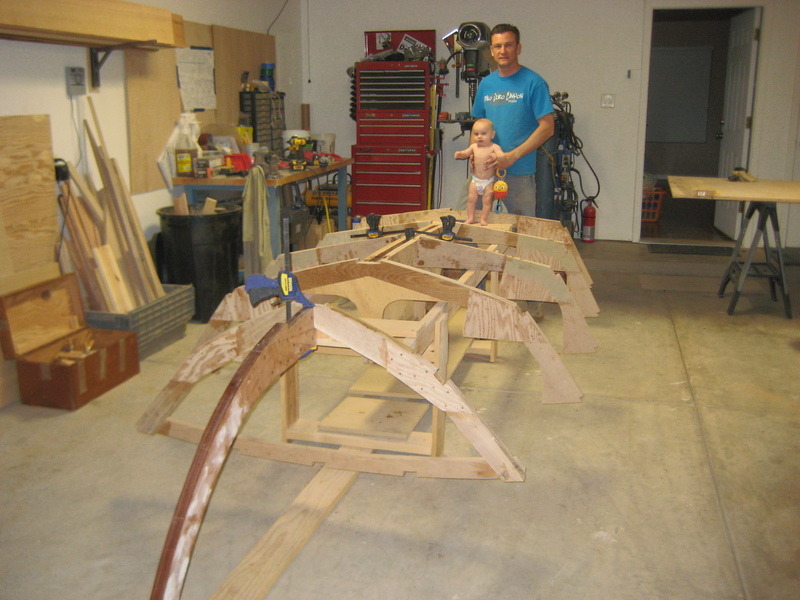 There are probably a million reasons people build their own boats and modify boats in a million forms; from the good old boy who builds a garvey flats boat (like the Dragonfly) so he can fish or hunt ducks in calm shallow water, to the 14 year-old who builds a Super Spartan three-point hydroplane that he uses to impress the girls as he literally flies by their favorite sunbathing spot at high speed like he’s driving a suped-up water-going go-kart. People put time, effort and money into making their boat something unique, something you won’t see sitting in a boat-dealer’s lot; and whether the finished product is something you gaze at with unbridled envy, or something you just don’t see the beauty of like a bad tattoo, the point is that the person who put in the time, thought and effort loves their boat and wants it to say something about them. 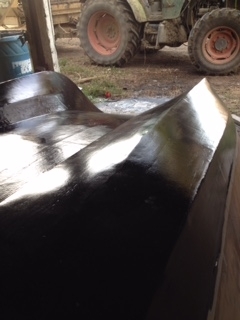 They see boats as works of art, beautiful pieces of precision craftsmanship and they want to take part in the process of creating something unlike anything else. People may not always understand why someone would invest the time, effort and cash into creating their dream boat, but people respect passion. But what else is there? Community? Competition? Both! 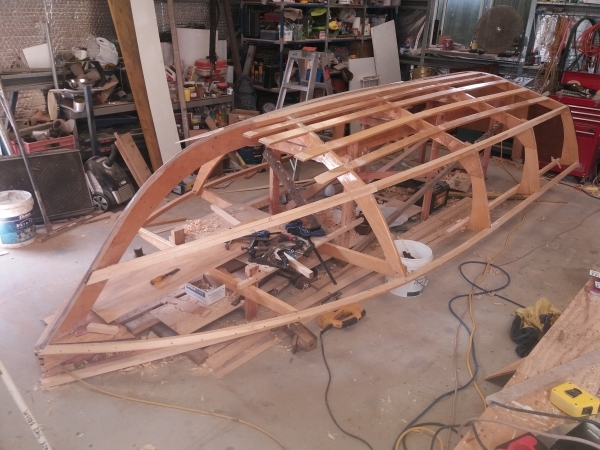 When you see a fellow enthusiastic boatbuilder and what they’ve done with their boat, you can’t help but feel a sense of camaraderie. Maybe you see things you wouldn’t be caught dead with, maybe you see a great idea you’re definitely going to steal and then tell all of your friends that it was just one of your many, many moments of creative genius. 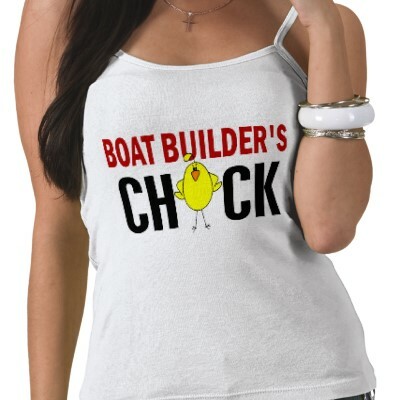 It’s a game of one-upmanship, always trying to out-do your friends, watching their eyes glaze over as they see the masterpiece you just piloted up to the dock or pulled out in front of your house on its custom trailer. This game has gone digital too; you’re no longer confined to only making your friends jealous. You can post photos of your “baby” on sites like the Glen-L website and engage in “conversations” on the Glen-L Boatbuilder Forum and Blog where you can smack down the poser who constantly brags that his mods are the hottest, or give a begrudging thumbs-up to a mod you wish you’d thought of or an upgrade you couldn’t make happen. 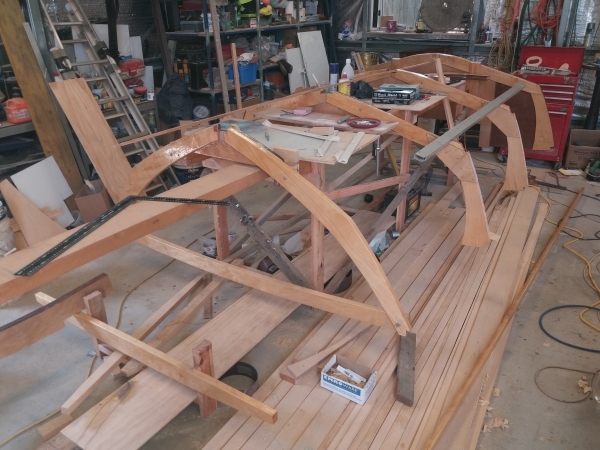 If you have the time you can even travel to events like the Glen-L Gathering of Boatbuilders where you can rub elbows, enjoy fabulous food and drinks while personally showing off and being shown amazing home-built water crafts. Either way, whether you realize it or not, you are part of a community that is growing and becoming more interconnected by the day. It’s your tribe, your sect; you share the same passions and because of that you’re all fellow travelers in a great adventure. 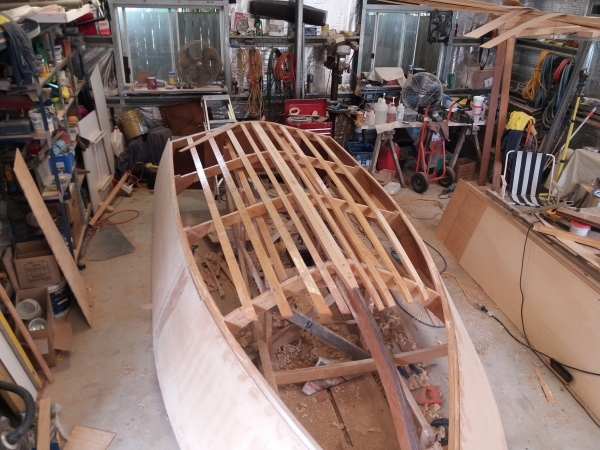 So why do you build your own boat? What do you get from it? Where exactly does your passion lie? What would you say to a person who thinks you’re nutty for putting in all that time, money and effort? Sound off by responding in the comment section below, let it be known! 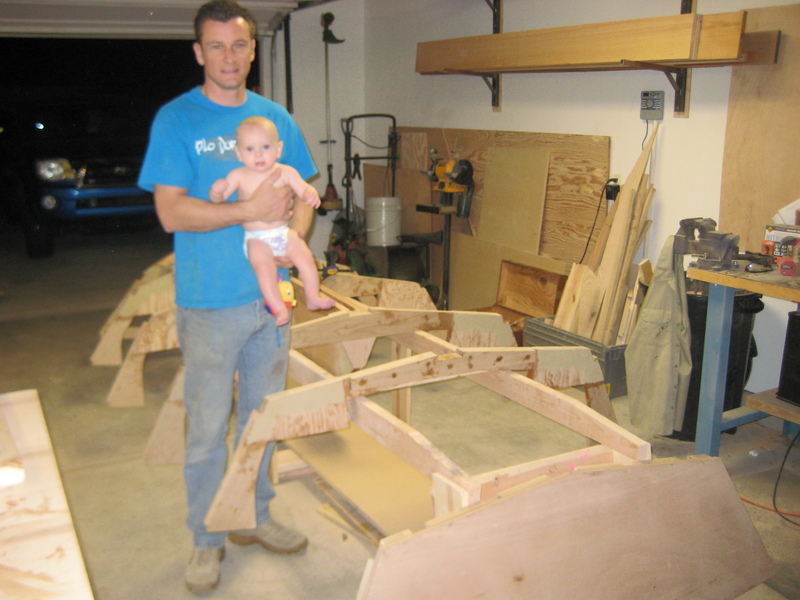 We love your passion and we want to see the water-borne masterpieces you create…post your photos in the Photo Gallery as you create and then enjoy your boats, we want to see your process. We think it would be an awesome tribute to your creativity and passion to create your own Blog posts here; we want to see the competition and the one-upmanship on full display. You’ve spent a lot of time and put in a ton of effort to make your boat yours, you’ve put a lot of thought into it, so show it off! 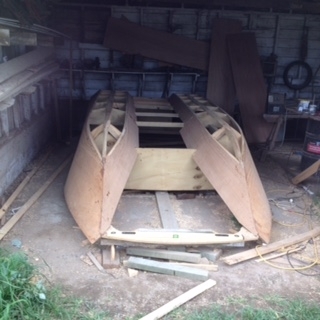 Nothing will feel better than being the envy of the Glen-L boatbuilder community. 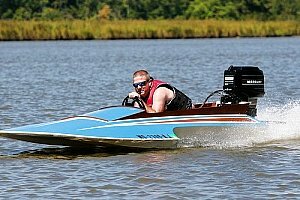 Who knows, maybe someday on the water somewhere you’ll see a boat with a particular mod and you’ll just KNOW that they got that idea from you…Imitation is the highest form of flattery, so spawn a thousand imitators! 2 Responses to Build your own boat?! Are you crazy?!!! Hope you finish your book! Then maybe you can build a boat and write a book about that!